The index touched 38,989.65 level, rising 93 points compared to its previous close of 38,896. Yesterday, the Sensex hit an all-time high of 38,920 level intra day. However, gains were trimmed due to profit booking with Sensex at record levels. The Sensex rose to an all-time high in early trade today amid higher Asian markets for the third consecutive session this week. The index touched 38,989.65 level, rising 93 points compared to its previous close of 38,896. Yesterday, the Sensex hit an all-time high of 38,920 level intra day. However, gains were trimmed due to profit booking with Sensex at record levels. The Nifty, too, hit an intra day high of 11,753 level, falling seven points short of the record level of 11,760 touched in intra day trade yesterday. The index had closed at 11,738 level in yesterday's trade. While the Sensex has gained 14% since the beginning of this year, Nifty has clocked 11.19% rise during the same period. The NSE Volatility index (VIX) fell to 9.43, a five-month low in August, signalling a fall in stock market volatility. India VIX is a volatility index based on the index option prices of NSE's benchmark index Nifty. The index signals market expectation of 30-day volatility. India VIX has fallen 10% during the last six months signalling decreased market volatility. 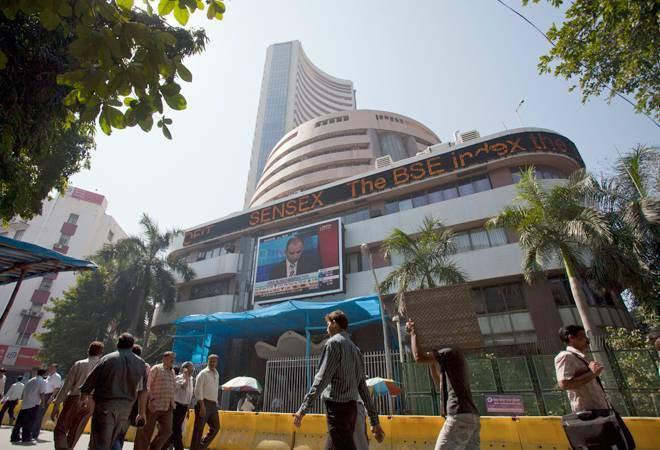 For the same period, Sensex and Nifty have gained 13.80% and 11.90%, respectively. Here's a look at factors, which pushed Sensex to an all-time high level in trade today. FIIs invested Rs 2,263.94 crore in July 2018 and Rs 7,331.81 crore in August in Indian market this year. The investment comes after three consecutive months of withdrawals by FIIs starting April 2018. FIIs withdrew Rs 61,130 crore from April to June which led to negative sentiments on Dalal Street. The reduction in FII selling in Indian market signals the growing faith of these investors in Indian securities. Meanwhile, domestic institutional investors (DIIs) too have added to the momentum of the market. DIIs have invested Rs 3,135.39 crore into Indian markets since the beginning of this month. Infusing optimism into Dalal Street, DIIs have been net investors into Indian equities every month this year. In fact, they invested Rs 69,751 crore into Indian markets since the beginning of this year. Asian stock markets rose on Wednesday after Wall Street gained on strength in technology and retailing shares. Tokyo's Nikkei 225 rose 0.4 percent to 22,914.69 and Hong Kong's Hang Seng advanced 0.2 percent to 28,415.23. The Shanghai Composite Index lost 0.3 percent to 2,768.23 while Seoul's Kospi gained 0.2 percent to 2,308.43. Sydney's S&P-ASX 200 advanced 0.4 percent to 6,330.20. Benchmarks in Taiwan and New Zealand gained while Bangkok and Jakarta declined. Overnight, the Standard & Poor's 500 index closed at a new record. Shoe retailer DSW surged 20.2 percent after reporting stronger-than-expected results. Apple added 0.8 percent and chipmaker Qualcomm gained 3.6 percent. The S&P 500 rose less than 0.1 percent to 2,897.52. The Dow Jones Industrial Average added 0.1 percent to 26,064.02. The Nasdaq composite gained 12.14 points, or 0.2 percent, to 8,030.04. Energy companies dipped along with oil prices. The mid cap and small cap indices rose in early trade today fuelling the rally which has been largely supported by large cap stocks. The BSE midcap index gained 167 points in trade today to hit an intra day high of 16,838 level. The index closed 59 points or 0.35% lower at 16,671 level yesterday. However, the small cap index gained 107 points in trade today to hit an intra day high of 17,150 level. The index closed at 61 points higher at 17,043 level yesterday. In fact, the mid cap index has clocked 0.70% gains in the last six months, the first positive gain among the two indices this year. On the other hand, BSE large cap index has gained 10.17% since the beginning of this year. During the last one year, the index has gained 17.40% . Its six-month gain stood at 11.30%.